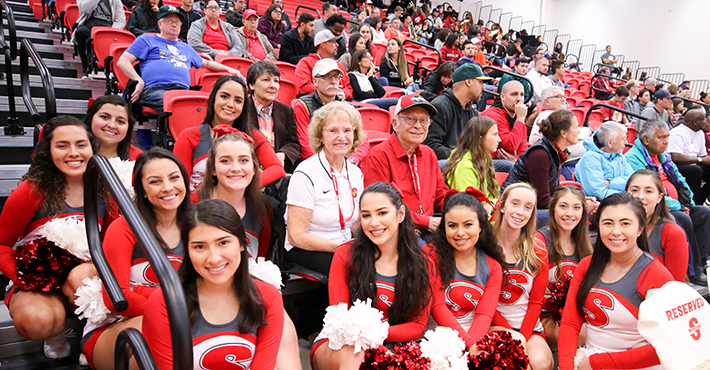 Dorothy and Bill Bizzini have been a part of Stanislaus State since it was just a gleam in the eye of California State University planners. “We got involved in the college before it really got started. Word got out there was going to be another CSU campus and we got all excited about it,” said Dorothy Bizzini, then a nurse helping at her husband’s Atwater veterinary clinic. “When the college first came in 1960, it was at the fairgrounds and there was no place for the faculty and students to live, so I built apartments,” she said. For the next few years she was busy helping at the veterinary clinic by day and at night helping distribute the first polio vaccine across Merced County. But she remained involved with the budding campus, serving on steering and advisory committees. The Bizzinis donated funds for the classroom building that bears their name as Bizzini Hall, one of two buildings in place when the permanent campus opened in 1965. 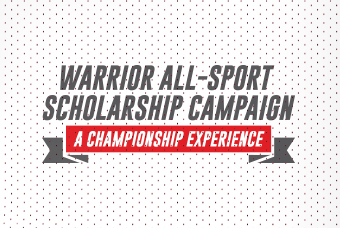 They also are co-chairing and have made an initial gift to Warrior Athletics’ $1 million All-Sport Scholarship Campaign. Dorothy Bizzini remains active on the Stanislaus State Foundation Board and is a fixture at commencement. In the University’s 58-year history she has missed only one ceremony (she was out of the country,) even flying in for the day from another state for one ceremony. In May, she will join the students walking the stage as she is awarded an honorary Doctor of Humane Letters (L.H.D.) by the California State University and Stanislaus State.